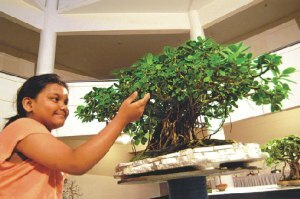 Bonsai activity in Bangladesh is not very old. There was perhaps one or two persons who had been individually pursuing this art form since the 1980's. 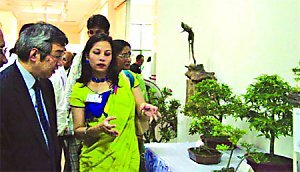 In 1999 an expatriate Bangladeshi (who was the President of Toronto Bonsai Society) gathered some enthusiasts in Bangladesh and helped form the Bangladesh Bonsai Society. Since then the Society had been imparting training to beginners, and holding annual exhibition. As informed earlier, the bonsai movement in Bangladesh is not very old, but of late members of BBS are keen to expand their activities.